The world’s biggest music streaming company is going public. Nope, I’m not talking about Spotify. I’m talking about Tencent Music, which has over 800 million users split between four services: Kugou, QQ Music, Kuwo and WeSing. We’ve been waiting for this ever since Tencent proposed spinning off Tencent Music Entertainment Group (TME) in early July. They officially filed for an IPO in the US on Tuesday. TME became the biggest online music platform in China after Tencent’s QQ Music merged with two other popular music apps, Kugou and Kuwo. Alongside that trio of streaming music services, they also have WeSing, a karaoke service. 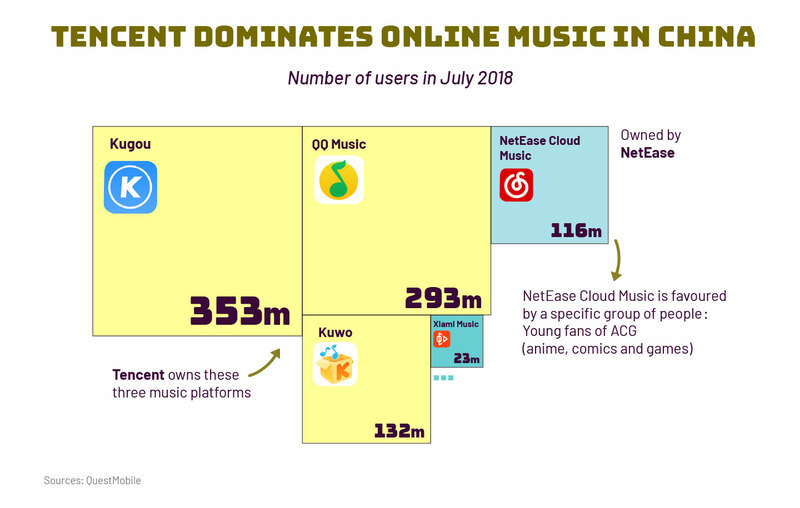 Now it has over 20 million tracks from over 200 music labels, holding a dominant position in China -- and leaving rivals like NetEase to fight over the scraps. TME has little international presence (although Tencent itself, not TME, owns Southeast Asian music service JOOX). But the sheer size of China combined with their leading position means they’re comfortably bigger than virtually any overseas competitors. 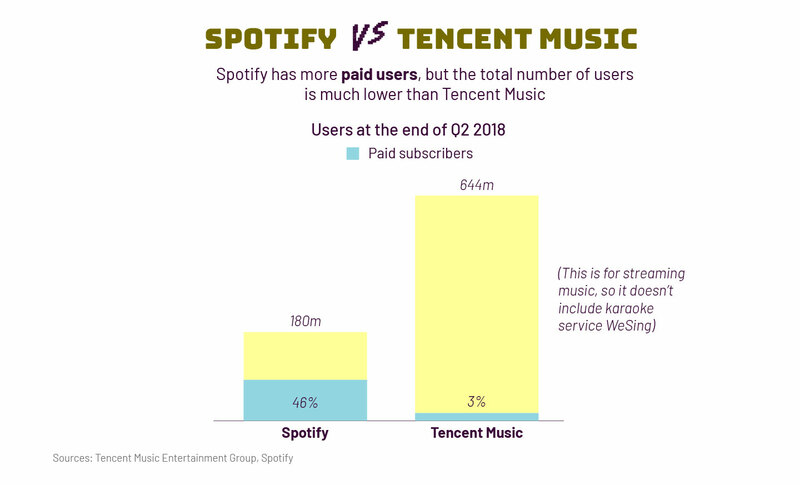 In fact, two of Tencent Music’s brands alone are far bigger than Spotify. The Swedish company does win out in terms of subscribers, though. 46% of Spotify&apos;s users have paid subscriptions, compared to just 3% for TME. But while they are rivals, they’re also partners: Each company has a stake in the other. 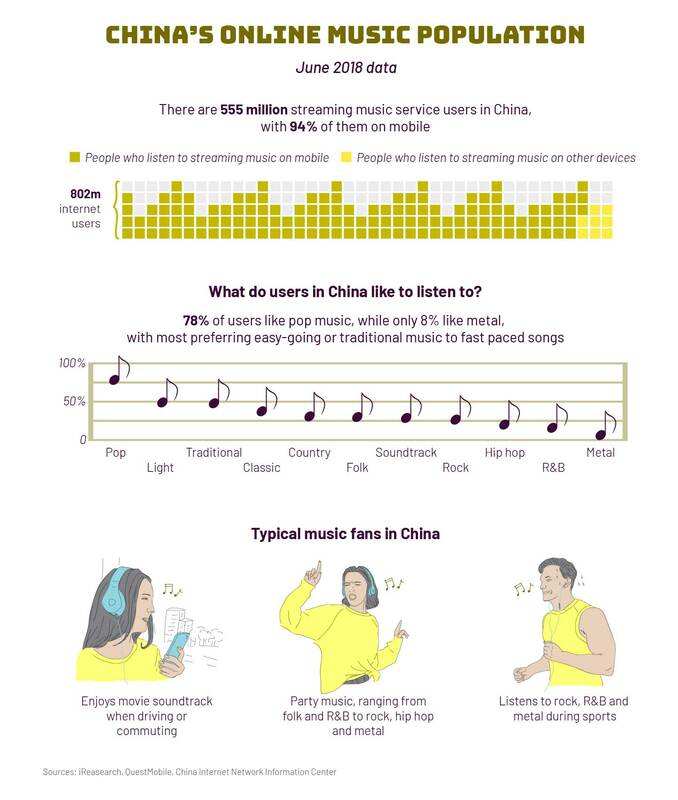 Music streaming is huge in China. 555 million people listen to music online, with 94% of those listening on smartphones.